● DrinkSupermarket.com offers free shipping for all UK mainland orders over £250. See here for more details. ● The website often runs promotions for selected brands, which have included BOGO offers in the past. 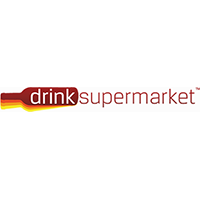 ● DrinkSupermarket.com has an Offers page that showcases reductions of up to 15% for certain drinks and liquors. Drink Supermarket affords visitors the opportunity to purchase wine, spirits, beer, and other similar products. You can shop according to a variety of categories, including whisky, champagne and sparkling, wine, spirits, liqueurs, beer and cider, mixers and soft drinks, big and miniatures, and gifts. In terms of whisky alone, you can shop for American whisky, Irish whisky, Japanese whisky, Scotch whisky, and more. You can purchase cocktail mixers, cocktail bitters, and even pre-mixed cocktail products. You can also check out the range of special offers that are consistently made available on the site. You will find that all of the leading drink brands are available at Drink Supermarket, as well. For most up to date offers check out Drink Supermarket on Facebook and Twitter or contact Drink Supermarket Support for any questions.